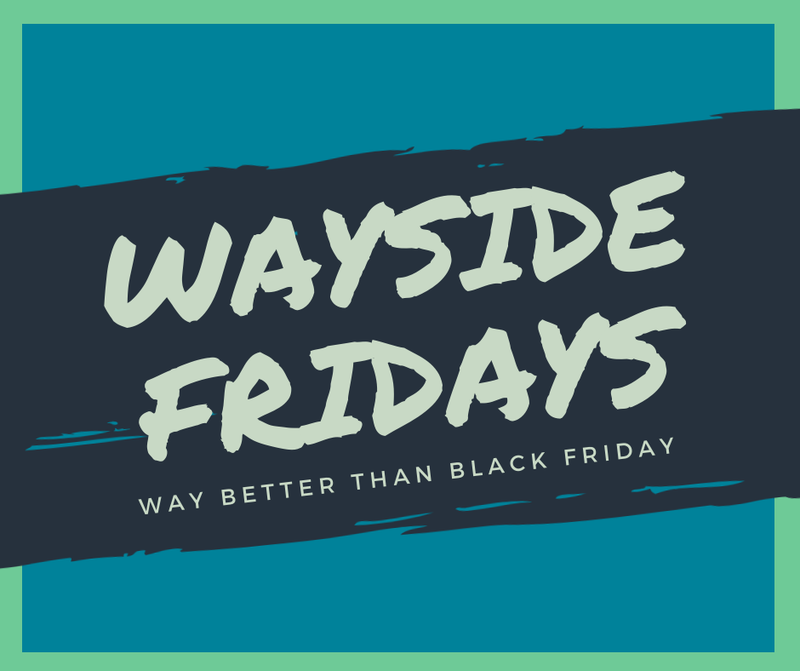 WAYSIDE FRIDAYS: Way better than Black Friday! Instead of just 1 day of deals, each Friday in November members (and non-members) can take advantage of these exclusive in-club savings available on Fridays ONLY! These discounts don’t come often, so be sure to take advantage while they last! Available in-club on 11/2, 11/9, 11/16, 11/23 and 11/30 ONLY! Call the club at 508.481.1797 or email us with any questions! *Restrictions may apply. **Valid for non-members only (and those who haven’t been a member for 12 months or greater). Not valid for Water Fitness classes, Svaroopa Yoga or any other fee-based class. Some restrictions apply.